Took a while but I loved the ending! Now living on opposite coasts, Mia is Juilliard's rising star and Adam is L.A. tabloid fodder, thanks to his new rock-star status and celebrity girlfriend. When Adam gets stuck in New York by himself, chance brings the couple together again, for one last night. As they explore the city that has become Mia's home, Adam and Mia revisit the past and open their hearts to the future - and each other. 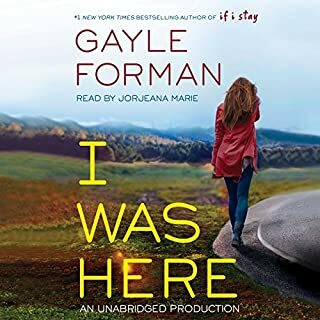 This is a very touching and poignant sequel to "If I Stay"- richly detailed and told with heart as the story reveals the truth for Adam and Mia in alternating slices of the past and present. In an interesting turn, this follow-up is narrated with gut-punching honesty from Adams perspective. The author keeps her reader in suspense until late in the story and does not make it predictable as to how things will actually turn out for the two main characters. The audio production is better than good, they engaged just the right voice to portray Adam...it is pretty much exactly what I would imagine he sounds like. A don't miss, in my opinion, particularly if you are a fan of the original story. I feel like words are so inadequate to describe the way I felt about this book. A facial expression or some kind of half-squeel half-sob feels more appropriate. But I’ll do my best to explain in words how completely and utterly wonderful this book is. Where She Went is told from Adam’s point of view..and boy is he damaged – “battle scars” in his words. Poor guy doesnt even know why Mia left him. My heart ached for Adam half the time and the other half I was seriously pissed at him because he was just acting childish i.e. throwing tantrums and some of the err..activities that he was engaging – ugh, I mean I get it dude..your heart is broken but really? The story telling method is similar to If I Stay in that it goes back and forth between the present and past. However, alot of the past memories were ones from the relationship between Adam and Mia and it was SO GOOD to see more of their relationship (since Mia’s flashbacks weren’t just about Adam). This book is simply amazing. Written beautifully... several times I could feel/hear/taste/smell/see everything that was going on. I felt like I was there with Adam. He broke my heart. Mia broke my heart. I listened to this book at work and got really tired of explaining to people WHY I was crying. I cried from sorrow, and joy. I laughed. I was unsure of this one initially, cause I loved the first one so much. Could it really live up to the original? Absolutely. And seeing it from a different perspective was beyond brilliant! 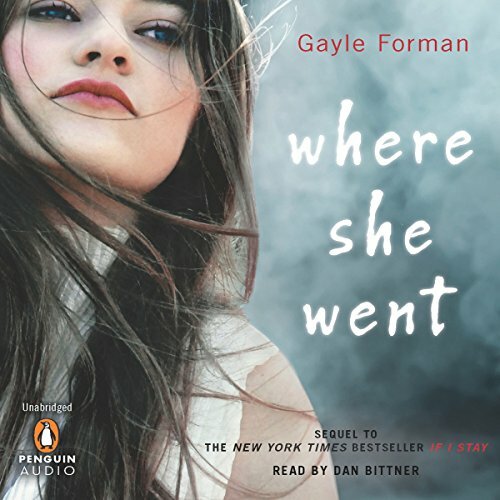 "Where She Went" definitely surprised me in how much I ended up enjoying it. 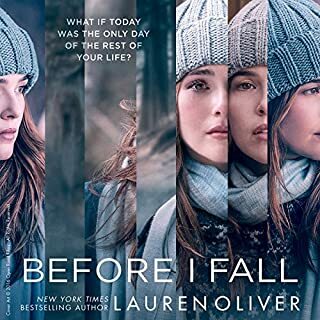 I liked "If I Stay" (prequel) a lot, but liked this one more... Or perhaps "If I Stay" just made "Where She Went" even better. The story is somewhat YA in that the main characters are musicians/rock stars, but it was genuine and fresh enough to reel me in and get me emotionally involved with the characters. I was left thinking about the book long after I'd finished it... Also, I love Dan Bittner's voice. Two words should be enough to describe this audiobook: ABSOLUTELY WONDERFUL. The story is beautiful, and the narrator is incredible. Thank you, Gayle Forman, for this amazing sequel. I would recommend this book to a friend because it's a great story. I love that the story happens in 24 hours but is able to recap 3 previous years in the process. What does Dan Bittner bring to the story that you wouldn’t experience if you just read the book? Because he is a man and is admitting to some very personal defeats surrounding love - it was much better to hear the emotion of the words said by a man rather than it be the voice in my head. What a treat to get a follow up to If I Stay. I loved how everything turns out for all characters involved. I listened to it in one day because I couldn't turn it off. Wow. This book made me cry twice. That's a lot for a short novel. The second half is so powerful I wish I could have witnessed what passed. This book is a wonderful follow up to the original and I wish we could keep the story going! The narration was also fantastic. Bravo to Dan Bittner. I loved this book. 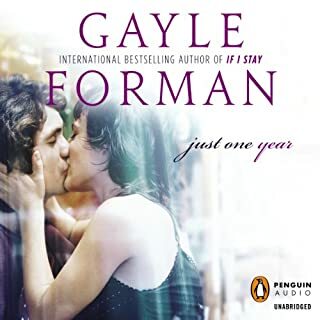 As the sequel to a heartbreaking tearjerker, author Gayle Norman's 'If I Stay', this book is a fulfilling sequel to that story. 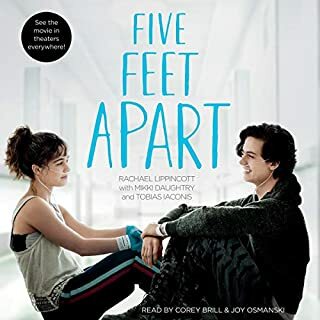 A coming-of-age story of two teenage musicians who are separated by tragedy, misunderstanding, and college they suffer the pains of each growing into adults alone in almost foreign worlds--he, as a rock star, she-as a celebrated cellist. I was engrossed in the story from the beginning to the end. The narrator, Dan Bittner, did a good job in his performance of the narration. I highly recommend this book. Everyone should listen to this book. WOW! Great listen, heart felt, and moving. This is the second book, the first book, "If I Stay" was great. This book the second is even better. 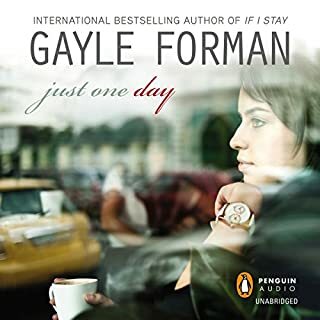 Gayle Forman is one of those gifted writers and Dan Bittner I could listen to for hours without tiring. What a combination. Great Job! 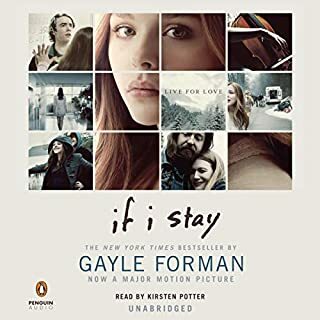 I was really happy to find that the sequel to If I Stay was written from Adam's perspective. It gave the overall story a nice balance and depth. Like the first, it was is beautifully written and narrated. A great follow up!